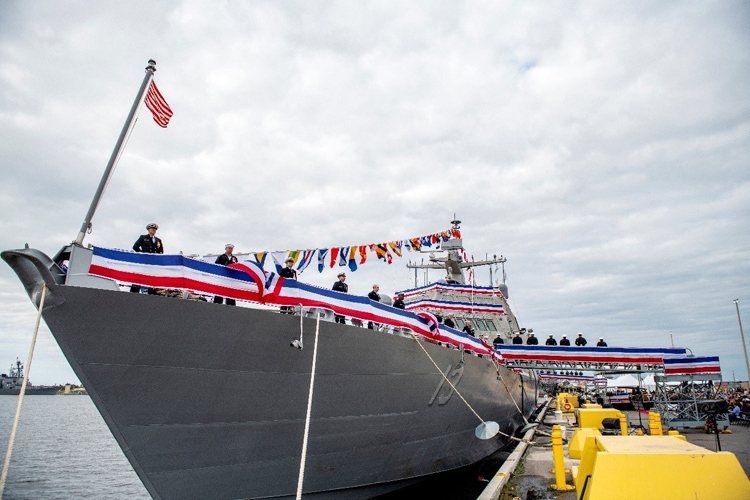 The US Navy commissioned USS Wichita (LCS 13) – the nation's seventh Freedom-variant Littoral Combat Ship (LCS) – at Naval Station Mayport today before a crowd including active-duty and veteran sailors. This milestone places the ship, built by the Lockheed Martin-led team into active service. "We consider it a privilege to support the men and women who will sail this great ship, protecting the United States and our allies," said Jan Allman, President and CEO of Fincantieri Marinette Marine. "On behalf of the two thousand individuals that crafted the LCS 13, we congratulate the US Navy and the outstanding crew of the USS Wichita."